Q: What jobs are available in the lab? When the Forensic Science Division has an opening for any classification, the job announcement is posted on the Human Resources website in addition to numerous other websites that target specific career fields. The Human Resources website is at http://www.washoecounty.us/humanresources/careers/jobs.htm. Q. I’m an undergraduate in Criminal Justice and my goal is to work in the Crime Lab. What classes should I take to help me accomplish my goal? A. It depends on the area you would like to specialize in. If you are interested in being a Crime Scene investigator you should take criminal justice, photography and drawing courses. If you are interested in being a Criminalist you should obtain a degree in Chemistry or Molecular Biology. There are some Forensic Science Degree opportunities however, if they do not have a hands-on laboratory component associated with the degree they may not be program geared towards working in a crime lab. Q: I watch CSI and really think it would be interesting to be a crime scene analyst. What experience do I need to get a job with your lab? A. If your interest is based on watching CSI, forensic science may not be a career for you. CSI glamorizes the profession. The real world will quickly show you that being on call 24/7 for two weeks at a time may not be all it is cracked up to be. After just returning home from a sexual assault scene and two hours of sleep you may be called right back out to a homicide scene. The scenes do not smell good; there are no hummers, or high heels. The scene investigator only works the scene; they do not interview suspects and victims or work on DNA or toxicology specimens. Results take months to obtain and cases do go unsolved as well. Q: I graduated with a degree in Biology from UNR. Do you have any openings for Criminalist? A: Please refer to the answer to the first question above and click on the link to the Human Resources Jobs website. If you are interested in the DNA field you MUST have course work in Genetics, Biochemistry and Molecular Biology. Q: Do you ever use student interns or volunteers in the lab? A. This Division is able to offer forensic science internships on an extremely limited basis. Applicants must be enrolled in a science based program leading to a Bachelor of Science degree or higher and be able to commit to at least 10 weeks of full-time work and be willing to accept extensive or sole involvement in one project. 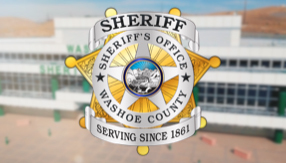 Interns will be required to submit to a background check, comply with all policies, procedures and directives of Washoe County and the Forensic Science Division, and maintain in strict confidence all information to which they become privileged. Interested applicants can email contact information as well as a curriculum vitae regarding course work and laboratory skills to lsmyth-roam@washoecounty.us. Q. What is the pay range for a Criminalist? Q. Can you suggest some ways a student could obtain the necessary experience for the job? A. Upon receiving the appropriate education any experience in a laboratory environment is helpful for a Criminalist position. Q. What advice would you give someone thinking about this career? A. Graduate from college with a degree in Criminal Justice or a scientific discipline. If interested in the scene investigation aspect of forensics you may want to pursue a career as a law enforcement officer first. It is a rewarding career in many aspects. You will become a member of a team dedicated to assisting your community with public safety. Q. Do you give tours of the lab? A. Unfortunately, due to the sensitivity of the material being tested, we are not able to give tours. There is a video tour of the Forensic Science Division available. To request a copy of the video, please contact the FSD at 775-328-2800.